Although This Is Us did deliver a little closure last season, it also left most of us with even more questions about the Pearson clan. And with the season three countdown dwindling, star Mandy Moore just dropped a bit of a bombshell — yes, we will be getting more answers, but they may not be the ones we want to hear. Thanks to comments made by series creator Dan Fogelman, we know that the upcoming season will look back at the beginning of America’s favorite TV couple: Rebecca and Jack Pearson. 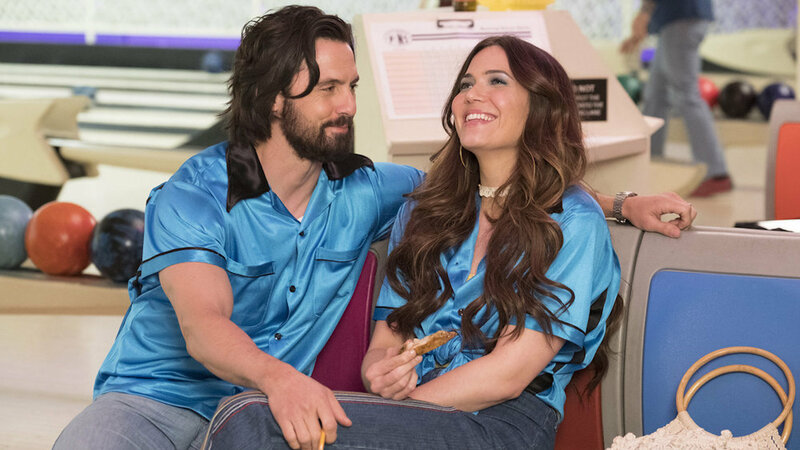 A sneak peek snapshot from season three depicting the couple’s past shows stars Milo Ventimiglia (Jack) and Mandy Moore (Rebecca) apparently on a date at a fair of some sort. Holding a half-eaten candy apple and wearing a raspberry beret, Moore looks predictably adorable. In a charcoal peacoat and clean-shaven face, a handsome Ventimiglia looks smitten. It would be easy to stare at the picture and imagine a perfect world in which Jack and Rebecca ride carnival rides and live happily ever after. Of course, we know better — the Great Crock-Pot Debacle last season confirmed poor Jack meets an untimely fate. Still, why wouldn’t fans romanticize these two? That’s part of their appeal. Even when they’ve had their bumps in the road, they seem so well-suited to each other. But, if Moore’s recent remarks to EW are any indication, the beginning of Mr. and Mrs. Pearson may not have been the starry-eyed storybook love we’ve all been hyping it up to be. More: Is Everyone Watching This Is U s Without Me? “People expect it to be a straight line to finding one another and living happily ever after — and that may not be the case,” Moore teased. Welp, that does it. We need to go ahead and restock our chocolate, box wine and Kleenex stockpile. Although, to be fair, we expect the NBC series will balance out all of the tear-jerking moments with some trademark humor too. This feels especially true when you consider that Rebecca and Jack aren’t the only ones getting an origin story this season. On July 31, NBC shared a photo of a blue index card reading “Toby Origin Story” pinned to a storyboard. “Oh, we are going there!” the show’s IG captioned the photo. And you know what? We aren’t mad. While there will likely be a few sad skeletons in Toby’s closet, you can’t focus on Chris Sullivan (who plays Toby) and expect it not to be funny. It won’t be long before fans find out for sure how much they’ll be laughing until they cry… and straight-up bawling. This Is Us returns to our screens on Sept. 24 on NBC.